Thanks to its unique attractions and also a wide range of offers for culture and leisure, Barcelona is a major tourist center of Spain and one of the most visited European cities. Of course, tours with a professional guide is the best solution to explore the city and its main attractions. 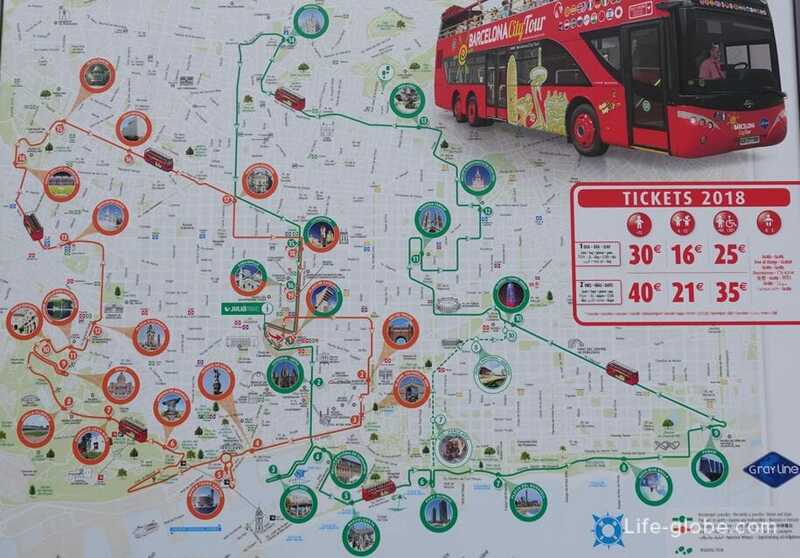 However, if you're new in town or have no desire to go to guided tours, you have the opportunity to explore the city and its main and most famous places for tourist buses. For a separate fixed fee tour buses will take you to the main attractions of the city. Both company buses has two floors and spacious second floor presents an open area without a roof. During the tours you will be accompanied by an audio guide. Individual headphones are issued on boarding. Each company has a few circular routes. Have the opportunity to go out and go to the buses at any of the stops and change your route, routes at some points intersect. They came from the same bus where I like to walk and you can go next. That's only the bus companies can't be changed, that is, continue the journey by a bus to the company where you bought the ticket. The tickets of both companies can be purchased at sales points at major bus stops, online or directly from the driver. Purchase tickets online will be cheaper about 10%. There are 1 - and 2-day tickets. Company website Barcelona Bus Turistic. 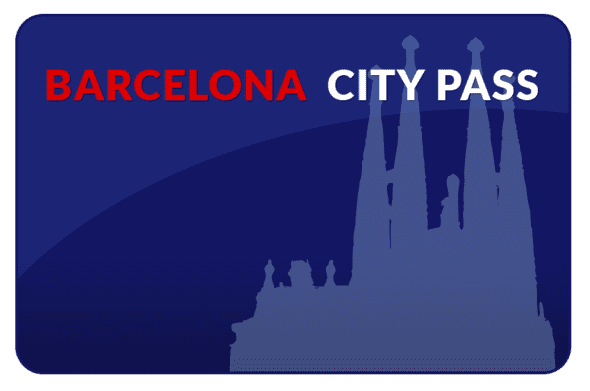 The website of the company Barcelona City Tour. - with disabilities and people older than 65 years - 33% discount. Buses of this company is more popular and visited, so almost always worth the queue. 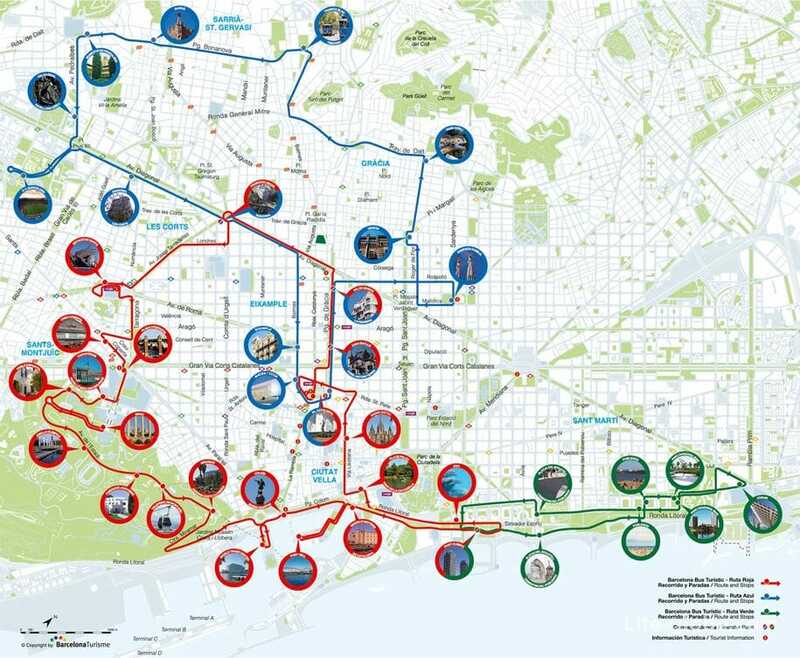 The tourist bus Barcelona Bus Turistic runs on three routes: blue, red and green. Travel time: approximately 2 hours itinerary (with the exception of the "Green route" which takes 40 minutes). Daily service except 01/01 and 25/12. Frequency: from 5 to 25 minutes, depending on the season. Schedule: winter - from 9:00 to 19:00; summer 9:00 to 20:00. Attention! The cost of tickets and watch the movement of tourist buses may change, please check before visiting on the official websites of the companies. 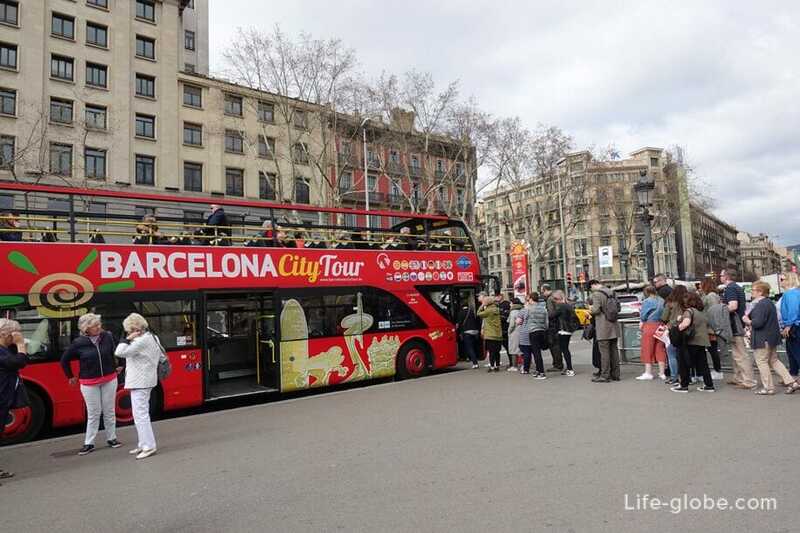 The tourist bus Barcelona City Tour ply on two routes: orange (East) and green (West).